Each country is given a credit rating mainly by three agencies, Moody’s, S&P and Fitch. On the basis on the rating given, investors are attracted to invest in the country. Fitch Ratings upgraded the Philippines' Long-Term Foreign-Currency Issuer Default Rating (IDR) to 'BBB-' from 'BB+'. This is the highest ever rating that the Philippines has ever received. According to Francisco Colayco, Our country has always been considered as laggard in all categories especially in economy and business. BBB- is not really such a high rating. It places the Philippines only in the lower level of the “Lower Medium Grade.” We still have to go through four more categories to be “Upper Medium Grade” and two more levels to be “High Grade.” But considering we came from “Non-Investment Grade” categories for over ten years, we have reason to be happy. It is a good start and our country has to take the momentum to forge forward. Fitch Ratings also upgraded the long-term foreign-currency issuer default rating (LTFC IDR) of the Bank of the Philippines Islands (BPI) and Banco de Oro (BDO), two of the country’s biggest banks. The Long-Term Local-Currency IDR has been upgraded to 'BBB' from 'BBB-'. The Outlooks on both ratings are Stable. The agency has also upgraded the Country Ceiling to 'BBB' from 'BBB-' and the Short-Term Foreign-Currency IDR to 'F3' from 'B'. 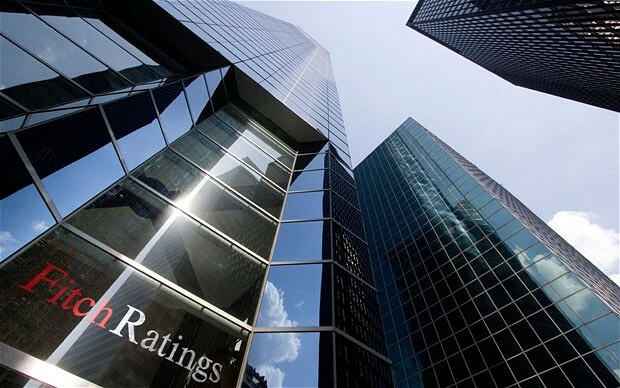 Standard and Poor’s raised the country’s foreign and local bond ratings last July to BB+ from BB while Moody’s Investors Service, known to be the most conservative among the three major credit watchdogs, also raised the its ratings last October to Ba1 from Ba2. The credit watchdog cited the country’s strong fiscal condition, resilient economy, moderate inflation, and a potential for more growth, as reasons for the upgrade. It said that the Philippine economy has been resilient, expanding 6.6% in 2012 even as the global economy slows down. A strong domestic demand has kept the economy afloat. Fitch said that the Philippines has experienced stronger and less volatile growth than its ‘BBB’ peers over the past five years. It sees the Philippines economy growing by 5.5% in 2013. Fitch praised the Bangko Sentral ng Pilipinas’ (BSP) inflation policies, which kept inflation with the range of the ‘BBB’ rating. The agency also said that the praised the country’s expanding the fiscal revenue base, as well as further improvements in the structure of the Philippine sovereign debt stock. The Philippine economy, as measured by GDP, grew by 6.8% in the fourth quarter of 2012, bringing the full-year growth to 6.6%, higher than what is expected by above higher-end of the 5* to 6% target of the national government. The increase was fueled by the strong performance of the Services Sector, pushed by Trade, Real Estate, & Business Activities. The sustained improvements in the Manufacturing and Construction subsectors also contributed largely to the current level of growth. -The Philippines' sovereign external balance sheet is considered strong relative to 'A' range peers, let alone 'BB' and 'BBB' category medians. A persistent current account surplus (CAS), underpinned by remittance inflows, has led to the emergence of a net external creditor position worth 12% of GDP by end-2012, up from 6% at end-2010. Remittance inflows were worth 8% of GDP in 2012 and proved resilient even through the shock of the global financial crisis. Fitch expects a rising import bill stemming from strong domestic demand to lead to a narrower CAS and to stabilise the net external creditor position at a strong level through to 2014. -The Philippine economy has been resilient, expanding 6.6% in 2012 amid a weak global economic backdrop. Strong domestic demand drove this outturn. Fitch expects GDP growth of 5.5% in 2013. The Philippines has experienced stronger and less volatile growth than its 'BBB' peers over the past five years. -Improvements in fiscal management begun under President Arroyo have made general government debt dynamics more resilient to shocks. Strong economic growth and moderate budget deficits have brought the general government (GG) debt/GDP ratio in line with the 'BBB' median. The sovereign has taken advantage of generally favourable funding conditions to lengthen the average maturity of GG debt to 10.7 years by end-2012 from 6.6 years at end-2008. The foreign currency share of GG debt has fallen to 47% from 53% over the same period. -Favourable macroeconomic outturns have been supported in Fitch's view by a strong policy-making framework. Bangko Sentral ng Pilipinas' (BSP) inflation management track record and proactive use of macro-prudential measures to limit the potential emergence of macroeconomic and financial imbalances is supportive of the credit profile. Inflation has been in line with 'BBB' peers on average over the past five years. -Governance standards, as measured in international indices such as the World Bank's framework, remain weaker than 'BBB' range norms but are not inconsistent with a 'BBB-' rating as a number of sovereigns in this rating category fare worse than the Philippines. Governance reform has been a centrepiece of the Aquino administration's policy efforts. Entrenching these reforms by 2016 is a policy priority of the government. -The Philippines' average income is low (USD2,600 versus 'BBB' range median of USD10,300 in 2012), although this measure does not account directly for the significant support to living standards from remittance inflows. The country's level of human development (as measured in the United Nations Development Programme's index) is less of an outlier against 'BBB' range peers. -The Philippines had a low fiscal revenue take of 18.3% of GDP in 2012, compared with a 'BBB' range median of 32.3%. This limits the fiscal scope to achieve the government's ambition of raising public investment. The recent introduction of a "sin tax", against stiff political opposition, will likely lead to some increment in revenues and underlines the administration's commitment to strengthening the revenue base. -Sustained strong GDP growth that narrows income and development differentials with 'BBB' range peers. An uplift in the investment rate that enhances growth prospects without the emergence of macroeconomic imbalances. -Broadening of the fiscal revenue base, as well as further improvements in the structure of the Philippine sovereign debt stock. The ratings and Outlooks are sensitive to a number of assumptions. The agency assumes the Aquino administration will persist with its fiscal, governance and social reform agenda. Fitch estimates trend GDP growth for the Philippines in a range of 5%-5.5%. The ratings incorporate an assumption that the Philippines is not hit by a severe economic or financial shock sufficient to cause a significant contraction in GDP and trigger stress in the financial system. Fitch assumes that there is no materialisation of severe risks to global financial stability that could impact emerging market economies, such as a breakup of the euro zone or a severe economic crisis in China. return the prefer?.I'm attempting to to find issues to enhance my website!I assume its ok to make use of some of your ideas!! I've read this post and if I could I want to suggest you few interesting things or suggestions. Perhaps you can write next articles referring to this article. I wish to read even more things about it! up here "Philippines Upgraded to Fitch BBB- Rating". And I do have some questions for you if it's allright. Is it simply me or does it seem like a few of these remarks come across like they are written by brain dead folks? :-P And, if you are writing at additional sites, I would like to follow anything new you have to post. Could you list of every one of all your public sites like your Facebook page, twitter feed, or linkedin profile? Hello to all, it's actually a nice for me to pay a quick visit this site, it includes precious Information. Gгeetings! Veгy useful advice ωithin this article! It &X69;s the li&X74;tle сhanges that ωill make t&X68;e mos&X74; impor&X74;an&X74; changeѕ. Thanks a l&X6F;t fοr sharing!